The Medicine Buddha is an enlightened being who has an unbiased compassion for all sentient beings. He protects us from all kinds of physical and mental sufferings, and eradicates the three poisons – attachment, hatred, and ignorance which are the root causes of all illness according to the Tibetan Medicine. 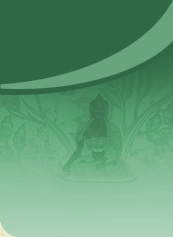 Ancient teachings reveal that merely seeing an image of the Medicine Buddha, or reciting his mantra can derive inconceivable benefits. The Medicine Buddha is deep blue in color, the blue of Lapis Lazuli and his right hand holds a blooming myrobalan plant, the only herb in the Tibetan pharmacopoeia that can aid in healing of all types of disorders. 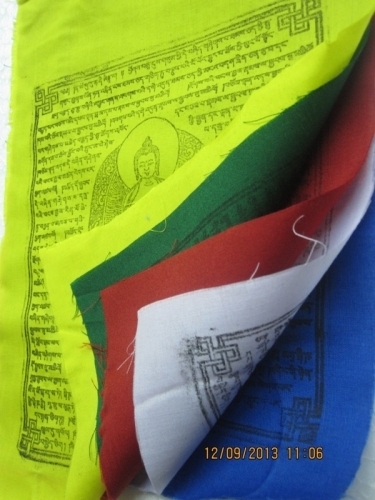 The prayer flag with image of Medicine Buddha helps in healing and maintaining good health, thus enabling us to accomplish our goals successfully. It may be hoisted at places such as the roof of house, offices, rooms, trees, monasteries, and in vehicles. While disposing off the flags when it gets old and worn out, it should be kept at a clean place or simply burned.